Programme financed by the European Union. The Global Climate Change Alliance (GCCA) is an initiative of the European Union (EU), launched in 2007 and coordinated by the European Commission (EC), aimed at strengthening dialogue and cooperation on climate change with developing countries most vulnerable to climate change and supporting their efforts to develop and implement adaptation and mitigation responses. It focuses on the Least Developed Countries (LDCs) and the Small Island Developing States (SIDS). These countries have contributed the least to greenhouse gas emissions, but are often the most affected by climate change and have limited resources to address the related challenges. Its contents are the sole responsibility of the GCCA-TL programme management unit, of the implementing partner Camões I. P., and do not necessarily refletc the views of the European Union. The GCCA-TL Annual Steering Committee meeting was held in Dili on 11 June. The meeting was attended by the Vice-President of Camões IP, Gonçalo Teles Gomes, the Secretary General of the Ministry of Agriculture and Fisheries of Timor-Leste, Eng. César da Cruz and the Director General of Forestry and National Director of Statistics , Research and Geographical Information, as well as representatives of the European Union and the implementing agencies (Camões IP and GIZ). It was the last steering committee of the program, where in addition to the presentation of implementation progress in the last 4 years, was also discussed the 2018 action plan, the closing strategy of the GCCA-TL and how the experience of its implementation can support future interventions. 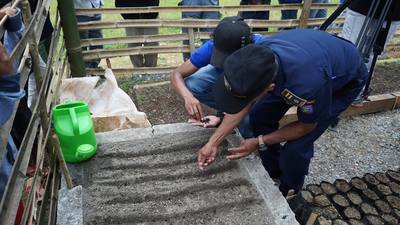 Celebrations held in Gleno, Ermera. 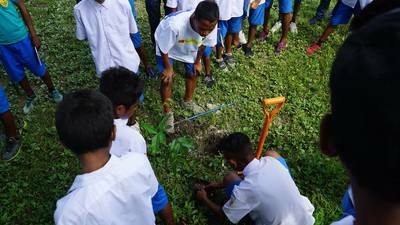 On March 21, throughout the world, the International Day of Forests was celebrated. In Gleno, Ermera, local community held various activities to celebrate this important day. At the escola básica central 10 de abril de 1999, integrated in the Formar Mais Project, more than 500 students from the junior high school attended a lecture given by the technicians from Camões, I.P. 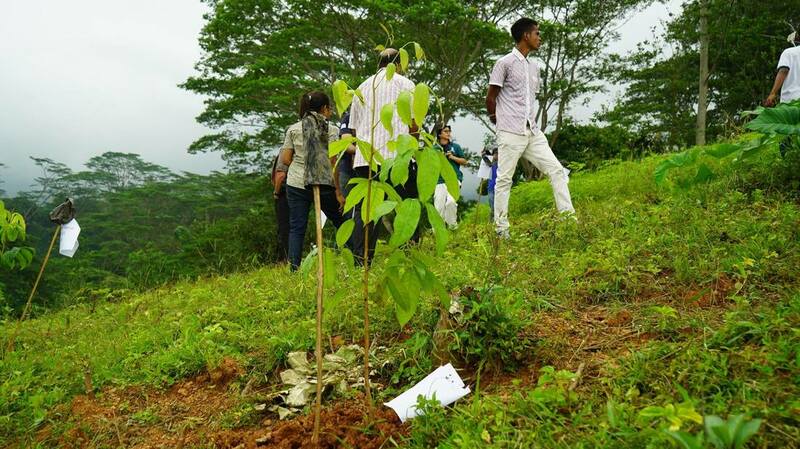 about trees and the forest, in the end were symbolically planted 18 trees on the school's yard and was also recited poetry on the tree and the forest. 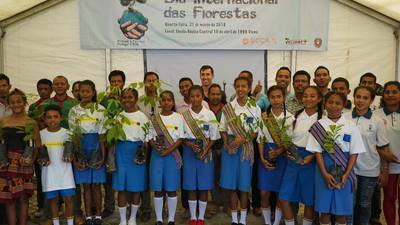 The activity was organized in partnership with the school's management and the coordination of the Formar Mais Project. 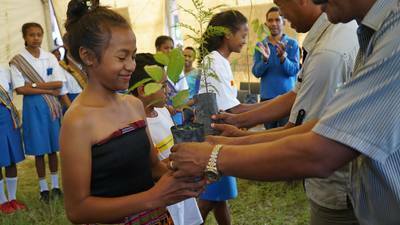 In Riheu, a village belonging to Gleno, the villagers, together with representatives of the local authority, celebrated the day with the planting of several trees on a hillside and sowed several seedlings for planting next year. Changing ancestral habits and poor agricultural and forestry practices is a major challenge, but it is the only way to rehabilitate watershed health in Timor-Leste. 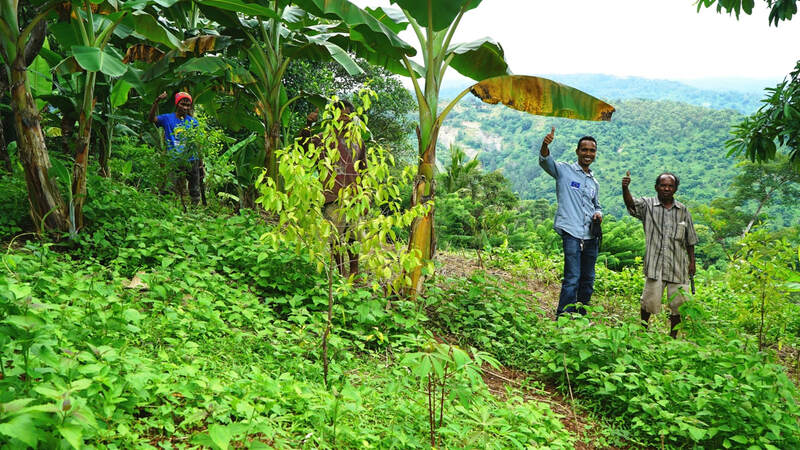 The work of raising awareness and agroforestry extension to the communities located in the Loes river basin is gradually changing the landscape and making it possible to conserve natural resources, while diversifying and enhancing the resources of local producers. 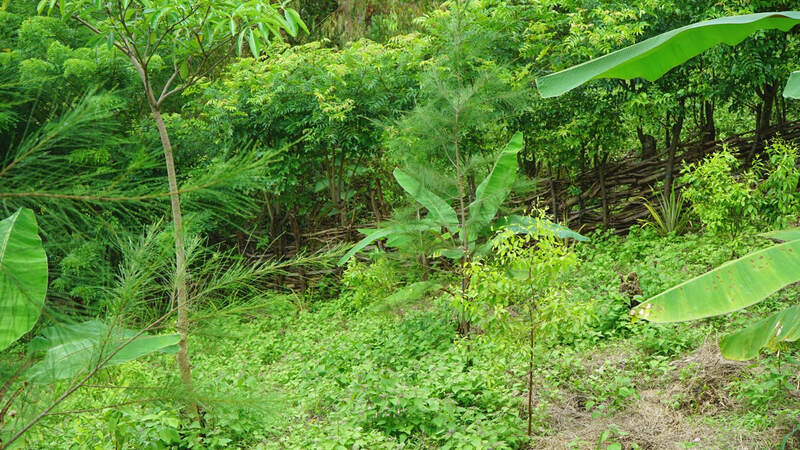 Mr. Diniz is an example, he decided to stop the practice of slash-and-burn in his land, where he grew corn and cassava every year, to install an agroforestry plantation that integrates fruit trees, sandalwood and other forest species. 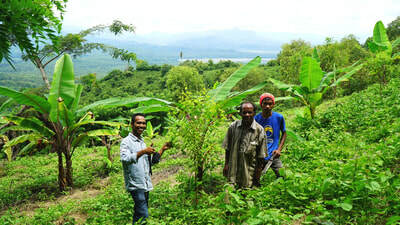 He proudly shows his land to neighbors who are now preparing to install a new nursery, with the help of the technicians of the Ministry of Agriculture and Fisheries of Timor-Leste and the Instituto Camões, IP and financed by the European Union, and in about a year, be able to install similar systems in other areas of slope in the Suco Lissadila, municipality of Liquiçá. Agroforestry systems, definition, benefits and examples. 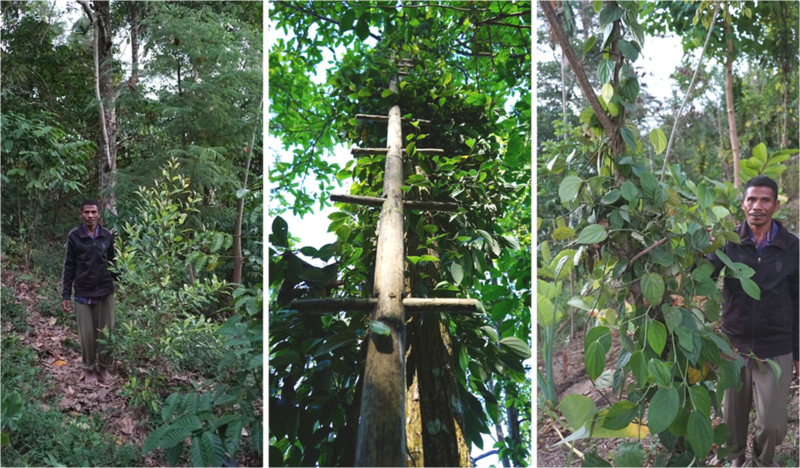 The implementation of appropriate agroforestry practices and the diversification of existing systems can guarantee the sustainability of production and natural resources. 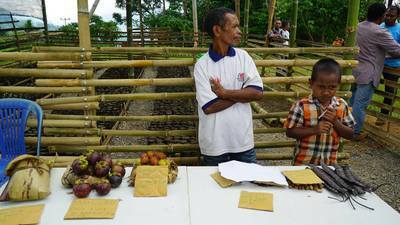 The promotion of agroforestry practices and support for their implementation by local farmers has been the basis of the work carried out by the GCCA-TL technical team within the catchment area of the Loes river in an effort to provide communities with more and better mechanisms to address the challenges of climate change. See the video examples and testimonials and learn more. Farmers in Ermera and Liquiçá are improving their land by adding spices inside old coffee plantations, this will improve their capacity to cope with the efect of impredicted climate events and market prices fluctuation for coffee. ​May 2017 - Climate Field School Training of Trainers Phase II The second phase of training took place at the end of April to train field technicians and agricultural facilitators in climatology applied to agricultural production. The ultimate goal is to get useful agro-climatic information to the final beneficiary, the small farmer. The training was led by technicians from the BMKG (Indonesian Meteorology and Geophysics Agency) in Ermera and replicated by the Timorese technicians from the Ministry of Agriculture and Fisheries and the National Directorate of Meteorology and Geophysics in Baucau. 08.05.2016 - GCCA-TL with Ministry of Agriculture and Fisheries of Timor-Leste were present with a stand of presentation of their activities during the project exhibition commemorative of the EU week, held in Dili. The stand attract the visitors and had the visit of His Excellency the Ambassador of the European Union for Timor-Leste, Ms. Sylvie Tabesse. 21.04.2016 - Support on the acquisition and installation of agro-meteorological equipment for the Ministry of Agriculture and Fisheries of Timor-Leste (MAP). Held in Fatuquero, Gleno, Ermera the symbolic handover ceremony of agro-meteorological equipment (72 sensors and equipment) for the installation of 7 new automatic agro-meteorological stations that will be part of the agro-meteorological monitoring network of the MAP, which, as was also presented by the head of the MAP agro-meteorology department, Mr. José Quintão, will feature a total of 47 stations distributed across all agro-ecological zones of the territory. The equipments purchased under the GCCA-TL program were delivered by Her Excellency the Ambassador of the European Union Mrs. Sylvie Tabesse to His Excellency the Secretary General of the MAP, Eng César da Cruz, the ceremony was attended by His Excellency the Ambassador of Portugal in Timor-Leste, Dr. Manuel Gonçalves de Jesus and also served to launch the first of 7 automatic stations with remote sending of data by 3G technology to be installed by the MAP with GCCA-TL support, in this case, Gleno station. 27.03.2016 - Map produced in Google Earth Pro, with all information relating to the monitoring of the production of agro-forestry seedlings made by GCCA-TL team inside Loes watershed, now available for download and consultation in section resources/ publications. 28.12.2015 - The E.U. Ambassador H.E. 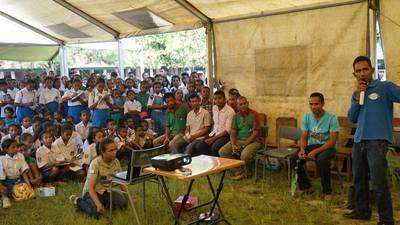 Mrs. Sylvie Tabesse visited GCCA-TL farmers group in suco Bualale, posto Quelicai, município Baucau. 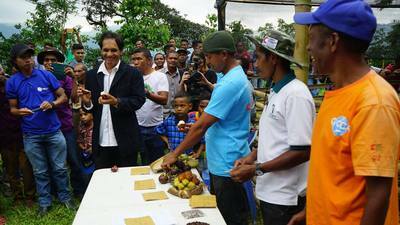 20.10.2015 - GCCA-TL conducted a practical Seminar on the fostering model of Dragon Fruit in Maubara as a strategy of crop diversification. The Seminar was directed to the technicians and extension workers of the Ministry of Agriculture and Fisheries in Liquiçá. 01.10.2015 - GCCA-TL delivers 200 seedlings of dragon fruit to the Federação Cooperativa Central Tokodede Liquiçá (FCCTL) for the installation of a demonstration plot in Suko Vatuboro. 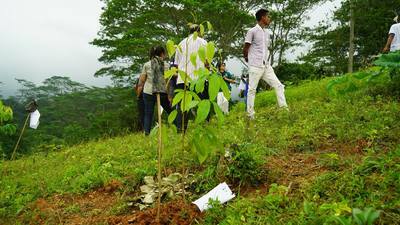 The seedlings were produced with material collected from the 4 demo plots installed by the program in Loes area. 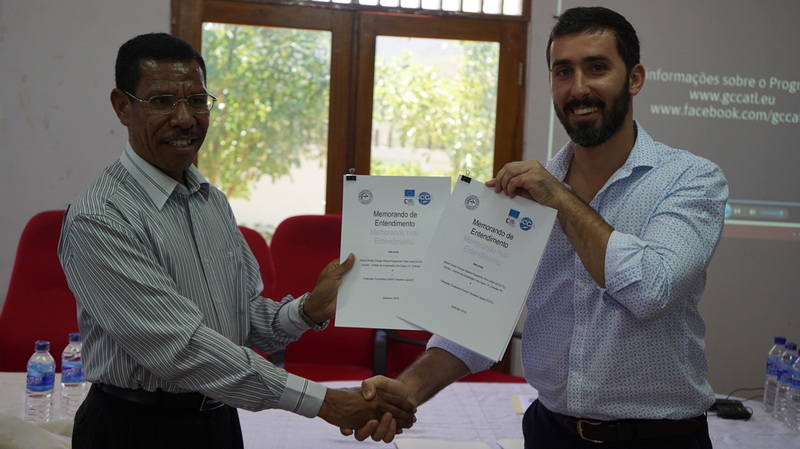 18.09.2015 - A Memorandum of Understanding (MoU) was signed between GCCA-TL/Camões, Instituto da Cooperação e da Língua, I.P. and the Federação Cooperativa Central Tokodede Liquiçá (FCCTL). The main objective of the MoU is the collaboration in the promotion of dragon fruit cultivation in Liquiçá Municipality. 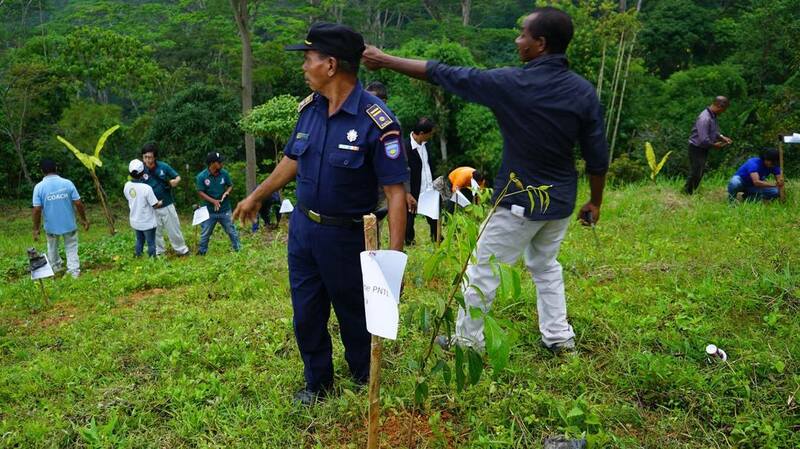 21.05.2015 - GCCA-TL staff, MAF and Local Authorities have organized a GCCA-TL Program socialization activity in Suku Quelicai, Baucau District (Seiçal Watershed); the main objective of this activity was to introduce the Program and the staff to the target area authorities (Chefes de Suku) and to discuss future activities, namely the Vulnerability Assessment. 29.04.15- The promotion of Timor-Leste agroforestry systems is a fundamental strategy for the adaptation of rural communities to climate change. The GCCA-TL Program organized a study visit with family producers from its target areas to Laulara, Aileu. The main objectives of the visit were to analyze a well established agroforesty system and to facilitate the contact and mutual learning among producers. 20 to 22.04.15. 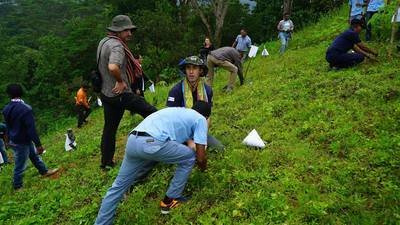 The National Directorate of Forestry and Watershed Management (NDFWM) and GCCA-TL organized a study visit to Tilomar Forest Reserve (Cova-Lima District). 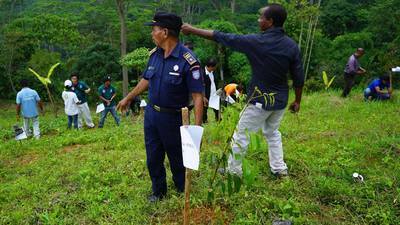 Technicians from Baucau, Dili, Ermera and Liquiçá participated on the visit conducted by national technicians from the NDFWM Reforestation Department.